India Top 3 Batting Innings in Perth – With India looking to pull off the improbable and save the second test match at the Optus Stadium in Perth come day 5, a gritty and determined batting performance is needed from the Indian lower middle order on the culminating day of the test match. It won’t be easy though with India playing out the fourth innings on a pitch that has shown variable bounce till now where the ball has been deviating massively with massive cracks developing on the pitch. 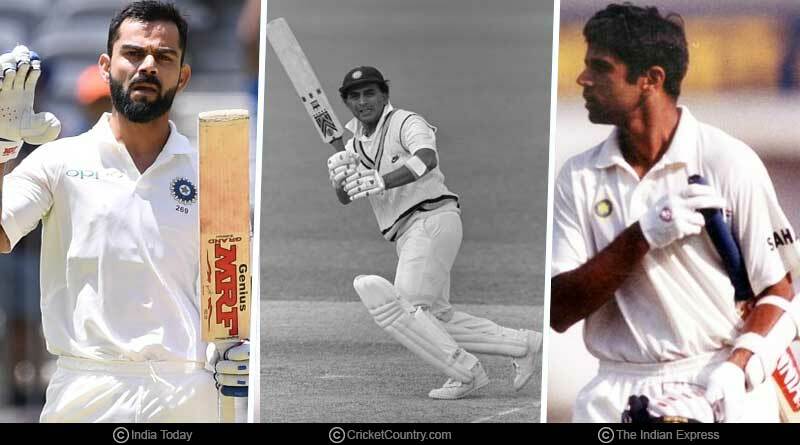 Ahead of what will be a crucial day for the Indians in the second test match of the series, we take a look at India top 3 batting innings in Perth from which the likes of Pant and Vihari can draw inspiration from. In what is India’s only win in Perth till date, Rahul Dravid’s fine 330 saw him take the Indians to a healthy total of 330 in the first innings. It was an innings that bespoke grace and class, as Dravid batted out on a typical fast and bouncy Perth pitch without any hesitations. Aided by a superlative Indian performance in the second innings with the ball, India romped onto a famous win. Dravid is someone who always features in the list of best innings netted out by Indians in Australia. His century at the Adelaide Oval was also responsible for seeing India win their first ever test in the stadium. In the first ever test match to be played at the Optus Stadium in Perth, Virat Kohli churned out what is inarguably one of his finest ever test centuries. The Indian captain was unfazed by the drop down wicket which misbehaved and acted moodily, taking on the Australian pace battery with ease. Kohli stamped his authority early on his innings, played sublime cover drives, pulls and cuts as he scored all around the ground in an innings that epitomised his extreme talent as a batsman. On a pitch where scoring even a half-century looked a task, Kohli was at his mercurial best as he played on a totally different track to others. The innings saw him reach his 25th century and become the only batsmen in the world to score centuries in South Africa, England and Australia in the same calendar year. An innings that will long be remembered for its application and shot selection. One of the most prolific openers to have ever played for India, Gavaskar was a statue of fine batsmanship. His 127 runs in the second innings ranked him right up there in the list of the best innings played by an Indian batsman in Australian conditions. His resistance saw India set a healthy 339 run target for the hosts but they were unlucky to not to come out on the winning side. For Latest Updates on India Top 3 Batting Innings In Perth, do Subscribe to our newsletter and follow us on Facebook, Twitter and Google +.